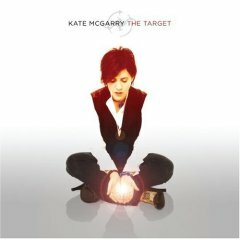 Jason Crane interviews vocalist Kate McGarry about her new album, The Target (Palmetto, 2007). It’s yet another stellar album in a career that has seen her working with everyone from Fred Hersch to Maria Schneider. On The Target, McGarry is joined by her husband Keith Ganz on guitar, Gary Versace on organ and piano, Reuben Rogers on bass and Greg Hutchinson on drums, along with guest appearances from saxophonist Donny McCaslin and Theo Bleckman on voice loops. On both American songbook classics and impressive new compositions, the band finds an organic chemistry that brings something new to the old tunes and makes the new tunes sound familiar.